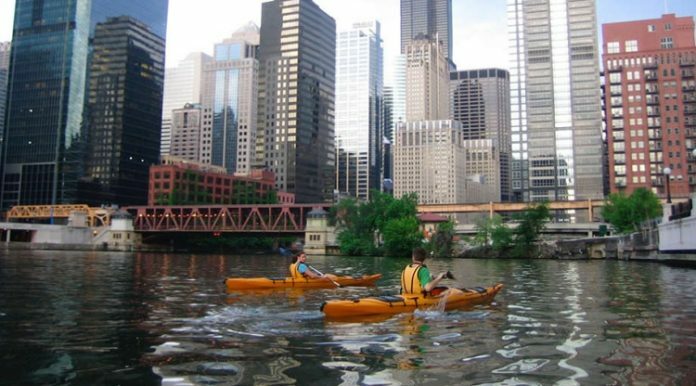 Get off the gritty, noisy streets for awhile and put your paddle in the water of the Chicago River with the Chicago Architectural Kayak Tour. That’s right — now you can kayak along the tranquil Chicago River while learning the history of the city’s iconic waterway and the skyscrapers built along it. During this fun, informative and slightly wet three-hour tour, you’ll navigate with your group through the heart of the loop, learning why Chicago was built on this spot, where Al Capone hid, where the first settlers to the area lived and more. Never paddled a kayak before? No worries, all tours are preceded by a brief orientation and training session.